Valley Flower Camp can be reached from Srinagar. This camp in Leh offers laundry service to its patrons. This camp has 20 rooms each with basic amenities. Some of the conveniences provided include bottled drinking water, toiletries and attached bathroom with hot/cold water facility. This hotel features a restaurant which serves wide range of delicacies. 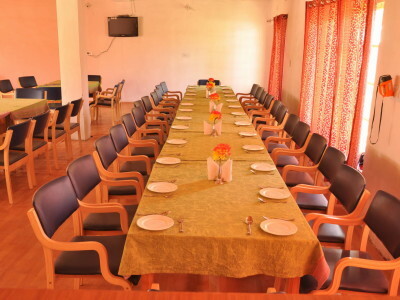 Valley Flower Camp provides facilities which includes room service. This camp in Leh offers a front to its patrons. Leh Palace (97 km), Gyal Khatoon Mane (24 km) and Leh (100 km) are some tourist attractions located near the vicinity of this property. Laundry Facilities, Parking, Travel Counter, Family/Child Friendly, Doctor on Call, Major Credit Card Accepted, Room Service, Front Desk, Porter Service Available, Taxi Service. Television Room, Telephone, Luggage Rack, Cable/Satellite TV, Dustbins, Internet Access, Air Conditioning Room, Desk, H/C Water, Attached Bathroom. User reviews for "Valley Flower Camp Leh"